Cafe & Pancake Gram is famous for its ultra-soft and thick pancakes, Premium Pancake. It is one of the most popular Instagram sweets, so it is loved by many young people. 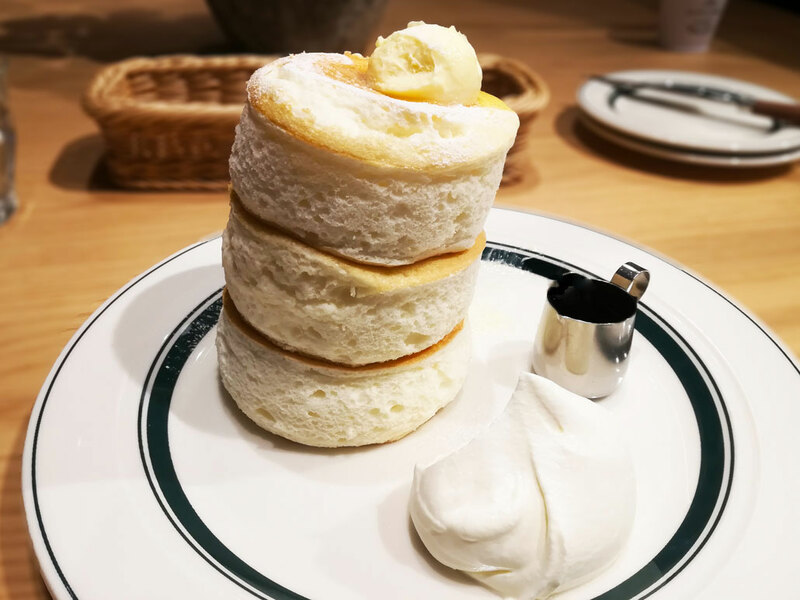 Now (in May 2018), 20 dishes of Premium Pancake are made at 3 times in a day (at 11:00 a.m, 15:00 p.m. and 18:00 p.m.), which means they serve only 60 dishes of Premium Pancake at one store in a single day. It’s on a first-come, first-serve basis! Premium Pancake is 950 yen (tax included) for now. 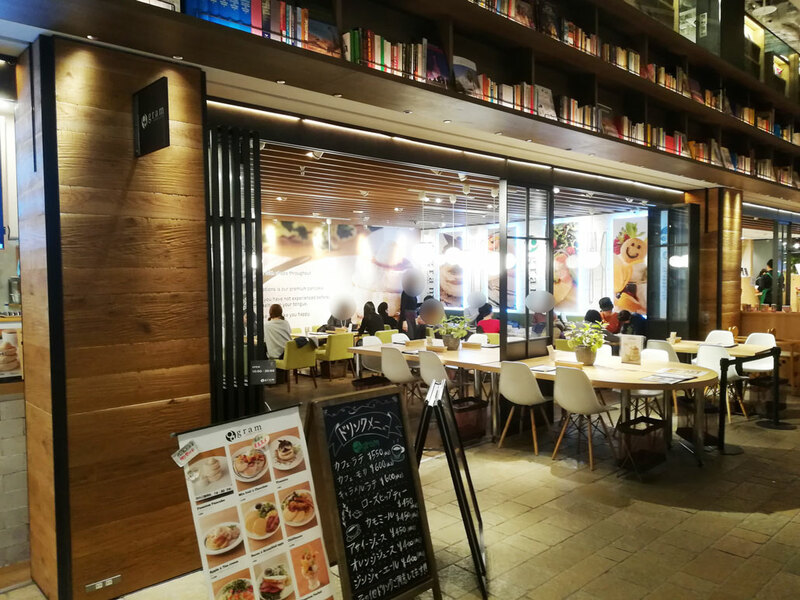 The original store of Cafe & Pancake Gram opened in Shinsaibashi, Osaka in October 2015, and in three years, the number of the stores increased to more than 50 in Japan, which includes the Harajuku Shop in Shibuya, Tokyo. In March 2018, a new store opened in Hong Kong, too. I went to the Hirakata T-Site Shop. It is located in Hirakata, Osaka. Hirakata T-Site is a building complex including a huge bookstore and Starbucks. It’s my favorite place to relax and enjoy myself. When I went to Cafe & Pancake Gram there, I happened to be the last person to eat Premium Pancake on that day. How lucky! I didn’t wait long to be served. The pancakes were really fluffy and airy, and I was really happy. 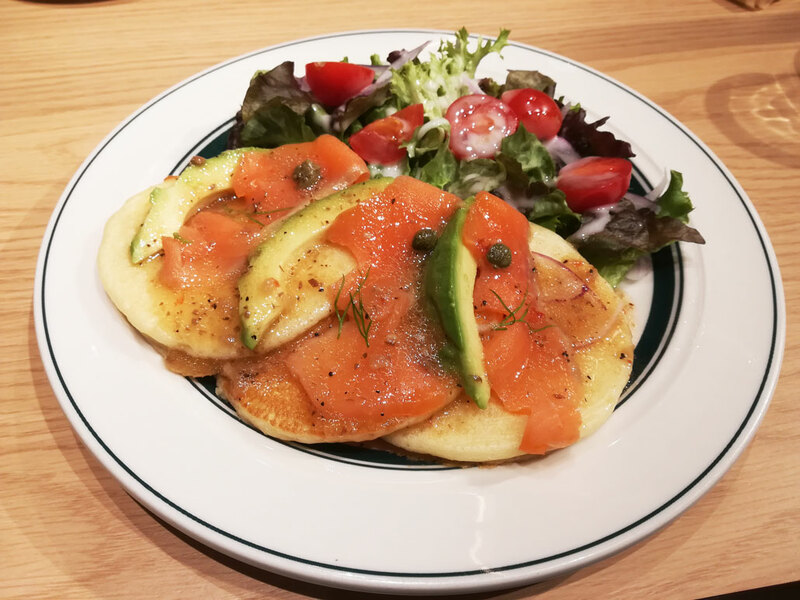 My husband ordered another dish, Salmon and Avocado Pancakes (1,050 yen, tax included). I tasted it and it was delicious, too. I can recommend Cafe & Pancake Gram to those who have a sweet tooth and those who don’t. Hirakata T-Site is a wonderful place, so if you go to Hirakata, visit it, eat the pancakes, enjoy shopping and have a good time there.